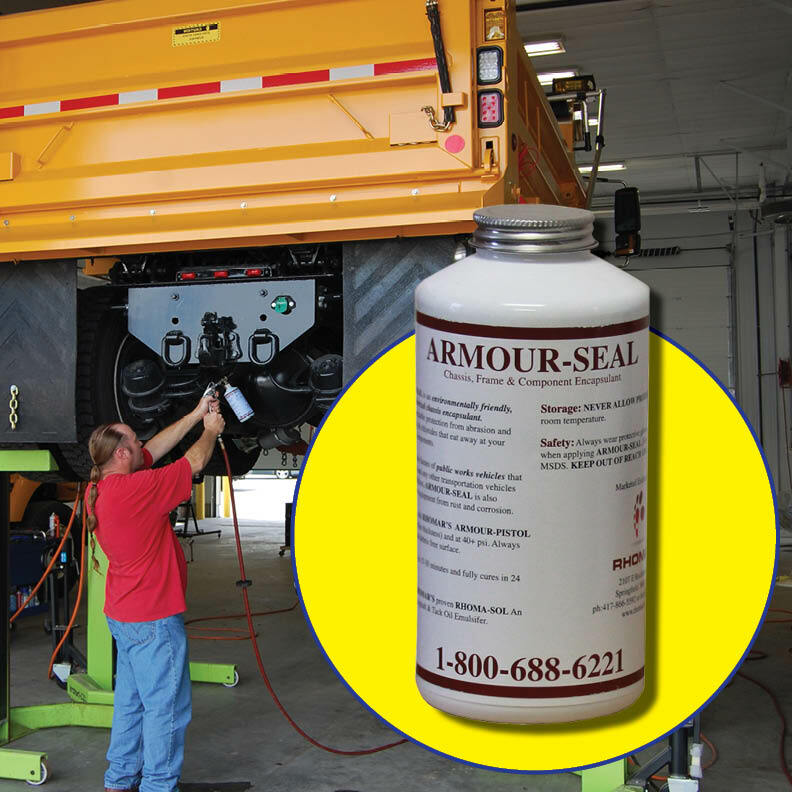 ARMOUR-SEAL is a semi-permanent, high strength rubberized polymer blended, frame & Chassis component undercoating that you can apply in your own shop with your own people. 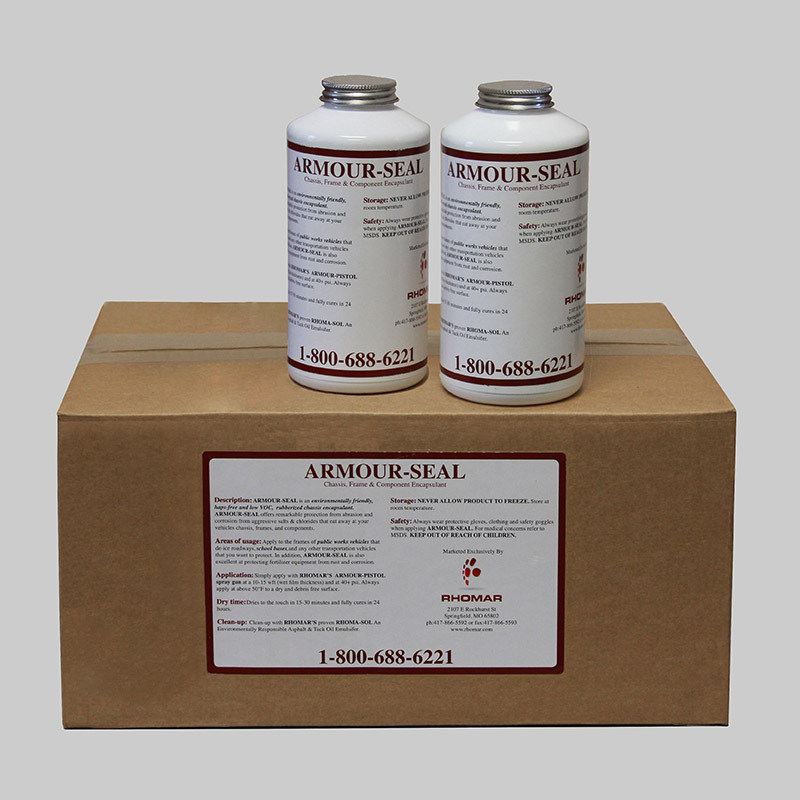 ARMOUR-SEAL is sodium, magnesium and calcium chloride resistant and has passed salt spray test ASTM B-117 at greater than 1000 hours! 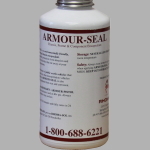 Do you have questions about ARMOUR-SEAL? Call 1-800-688-6221 between 7:30am and 4:30pm CST to speak to customer service. Purchase 4 or more dozen and get a FREE PISTOL-GRIP Spray Gun! It will automatically add it to your order in the shopping cart. OFFER ENDS 3/31/2019. Shortened operational life cycles of trucks, buses, cars and equipment. Today, states, counties and municipalities use aggressive deicers to keep our roadways open during the winter. 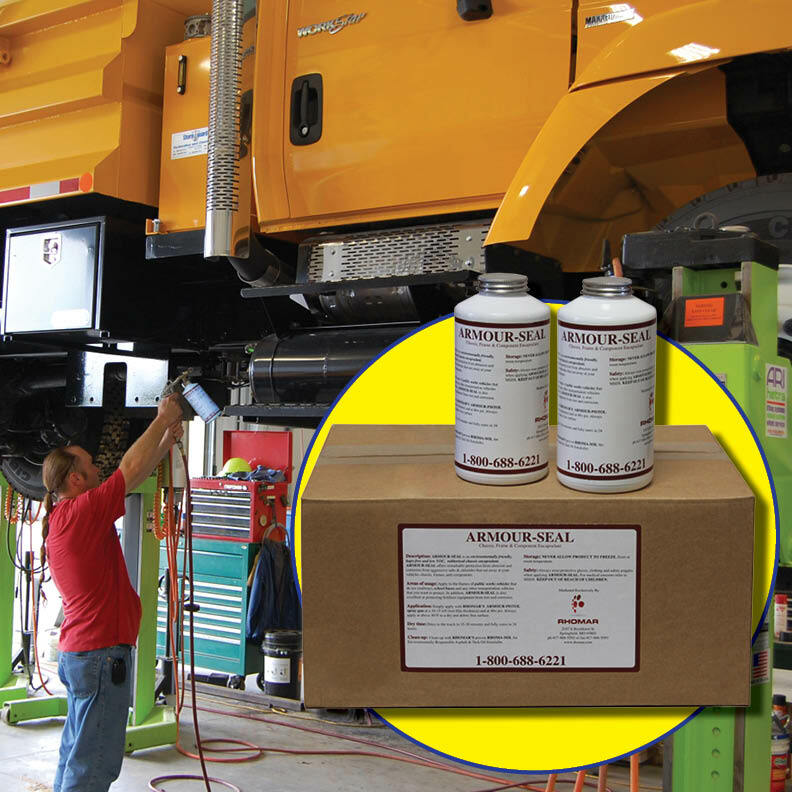 These deicers melt ice and snow, but they also attack frames and chassis components, such as diesel tanks, oil pans, brake cables and wiring harnesses of your expensive public works trucks, school buses, sanitation trucks and other fleet vehicle. 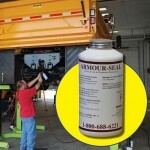 Keeping down maintenance costs. The current economic environment is forcing fleet managers to keep trucks and equipment longer, but older trucks require more maintenance. Since you are probably not going to get an increase in you repair budget, you are now forced to figure out how to fix more problems on fewer dollars. The reality is, the trucks and equipment needed to get the job done are now out of service more frequently, out of service longer, or worse, completely taken out of service. Lousy resale or trade-in value. Trucks and equipment devastated by rust and corrosion damage bring you significantly less dollars when you go to sell or trade them in. Easy in shop application – with RHOMAR’S air operated PISTOL-GRIP Spray Gun. No Mixing! 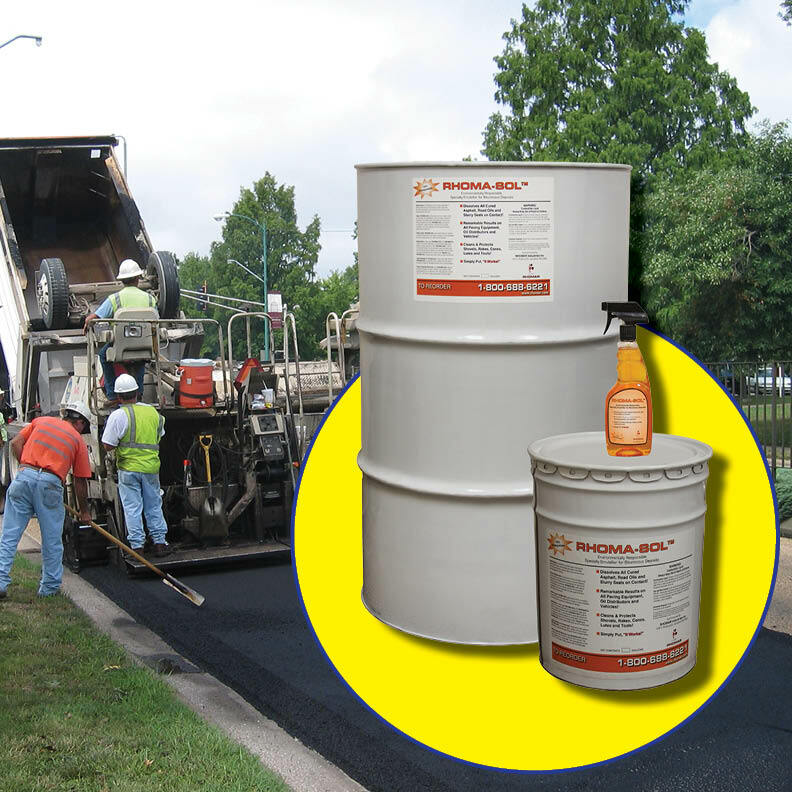 Meets tough environmental standards – low VOC’S, HAPS Free, low odor and non-flammable! 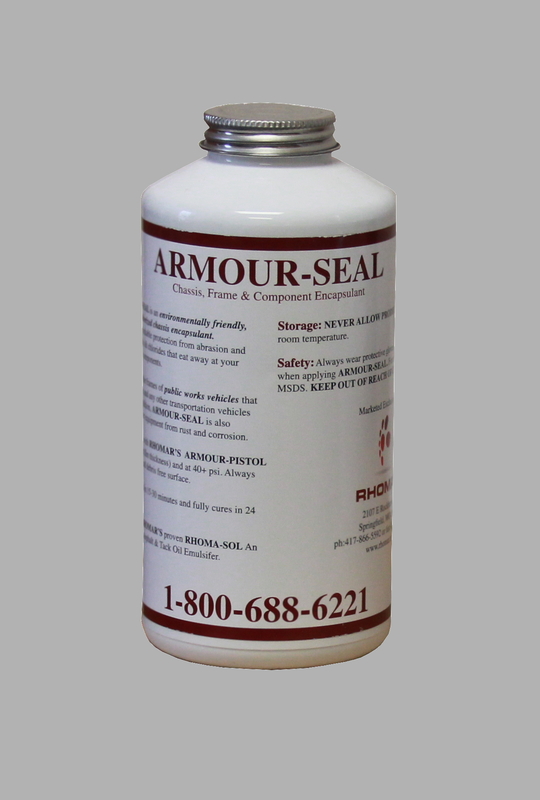 Superior rust and corrosion protection – apply to new or rusty vehicles. 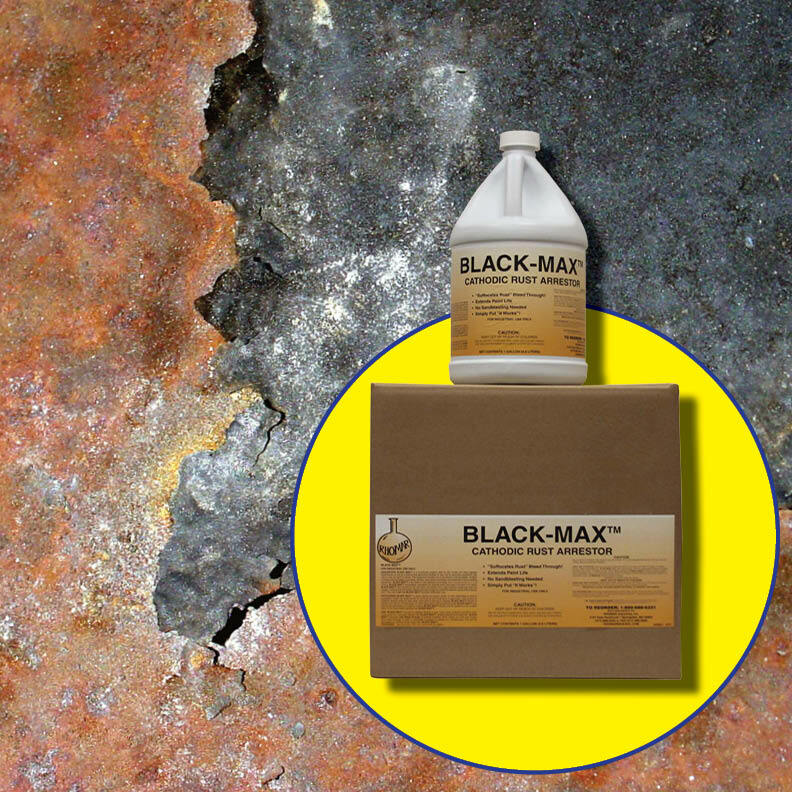 Creates an abrasion resistant undercoating that blocks oxygen, stopping rust in its tracks! 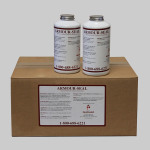 Heavily tested – passes the Chloride Spray Test, exceeding 1000 hours. Plus, it meets the Military Spec TT-C-520 B Salt test! 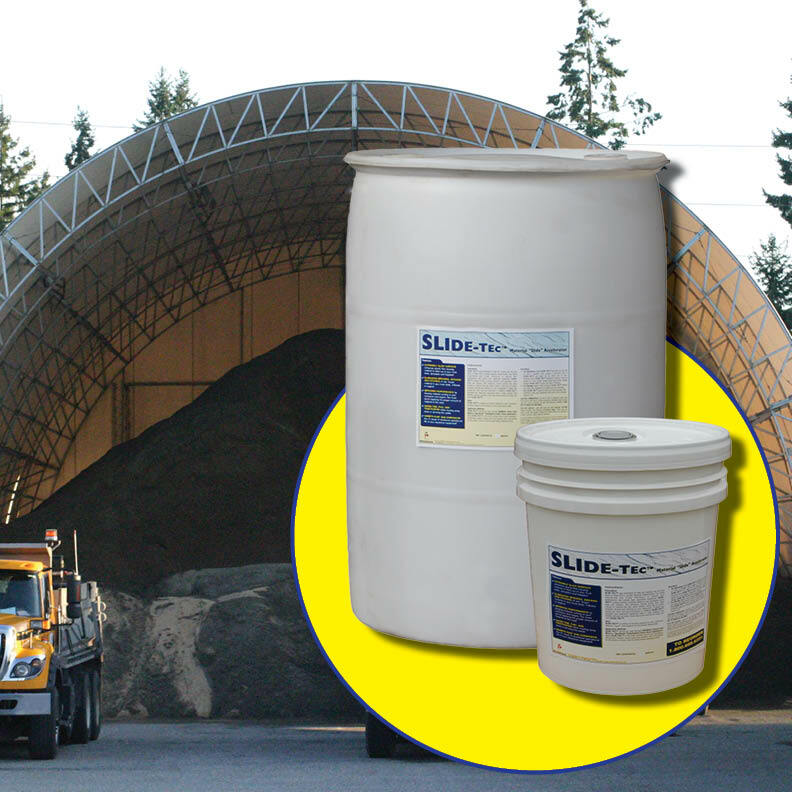 Easy on tight budgets – very economical, only 2 to 4 quarts protects chassis’ for years! Longer retention cycles and increased resale or trade-in values – by protecting your fleet of trucks, buses, cars and equipment! Fewer unscheduled repairs – from frustrating rust and corrosion problems, such as pinhole leaks in your oil pans or hard to trace electrical shorts! Call 1-800-688-6221 between 7:30am and 4:30pm CST to speak to customer service or simply fill out this form and we will get back to you.